Sweating had been common for years in overseas cities such as Glasgow and London, despite condemnation of it by the social reformers of the time. In 1888 it finally became the subject of a House of Lords inquiry, and during that year, New Zealand newspapers covered the inquiry of this “evil” happening in the old country. He wrote: “Now, Sir, you may be surprised to know that this curse of civilisation exists not only in the old country, but also in our own sparsely populated colony, and within half a mile of your own office.” ‘Citizen’ went on to describe how his wife had met a woman being paid appalling wages to work on Crimean shirts, woollen shirts worn by rural workers. This woman earned barely a subsistence wage for her long hours and even more was forced to supply her own thread. “Is this work, or slavery?” Citizen asked. In his letter he mentioned the sermons of Rev Rutherford Waddell, of St Andrews Presbyterian Church in Dunedin. Waddell was not only the minister of the church but an ardent social reformer who had been instrumental in starting New Zealand's free kindergarten movement in an attempt to get children in poor areas off the streets. Unknown photographer. 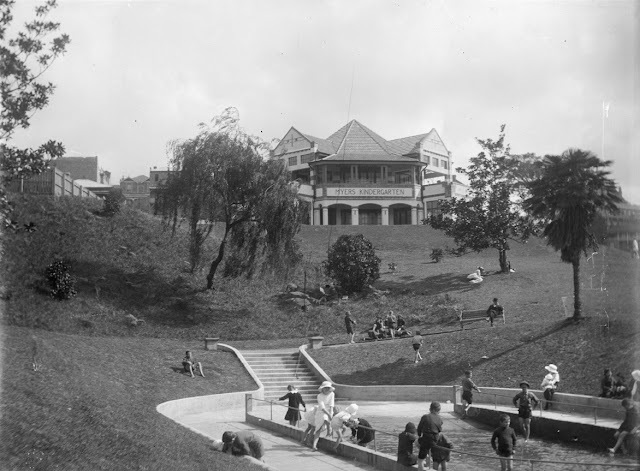 One of Auckland's earliest free kindergartens at Myers Park, 1916. 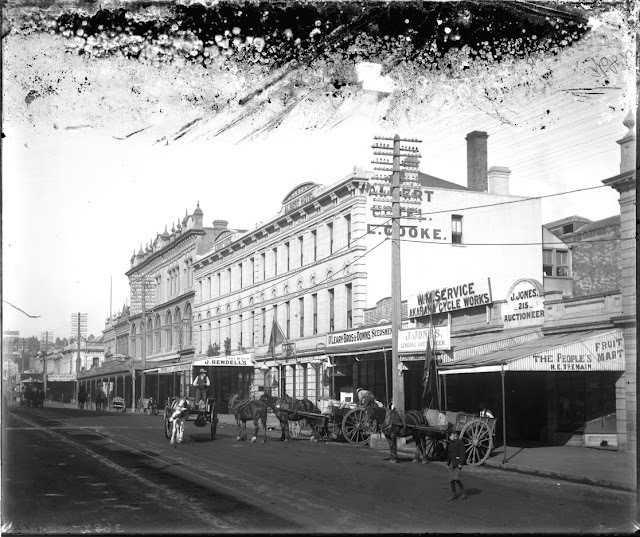 Auckland Libraries Heritage Collections, 236-7519. 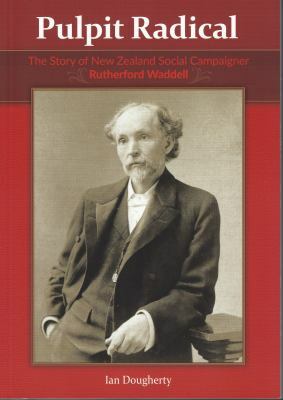 Waddell had spoken and preached regularly on the plight of the poor in Dunedin. His claims had been met in some quarters with disbelief that anything like sweating could possibly be happening in New Zealand, and just weeks earlier, his sermon “The Sin of Cheapness” had become quite a talking point. In response to Citizen’s letter, the Otago Daily Times called on Waddell personally to verify the claims, and Waddell supplied details of cases he was aware of. In one instance, a widow with two children had to work from 8am to 11pm, and made barely enough to survive. It seemed stories like hers were disturbingly common. As these stories were published, and as the public became aware of the evil on their own doorstep, a backlash to “sweating” gained momentum. Within days other parts of the country were reporting cases. In Wellington, inquiries revealed that certain factories paid such low rates for piecework, employees were forced to work day and night in order to earn a subsistence wage. More newspapers across New Zealand published details and there was now no doubt on the question of starvation wages being paid to the 'poor female slaves of the needle'. That it could be happening in the new land of New Zealand was unbelievable. NZ Observer 1895, Auckland Libraries Heritage Collections, 7-A12425. Rutherford Waddell laid the blame on a number of conditions, among them what he called The Sin of Cheapness. He claimed that the public’s desire for cheap goods, leading to the conditions of poor pay, was the great evil. No-one wanted to pay a fair price, and so would go from shop to shop to find the cheapest item. The wide availability of work also came with a downside. If a seamstress was not solely relying on tailoring work for her means of support, then she could offer a cheaper rate to produce the garments. Those who needed the income from that piecework to survive subsequently had no choice but to accept the low rate – or starve. Waddell implored his own Presbyterian congregation, filled with some of Dunedin’s most influential citizens, to take a cold, hard look at themselves. 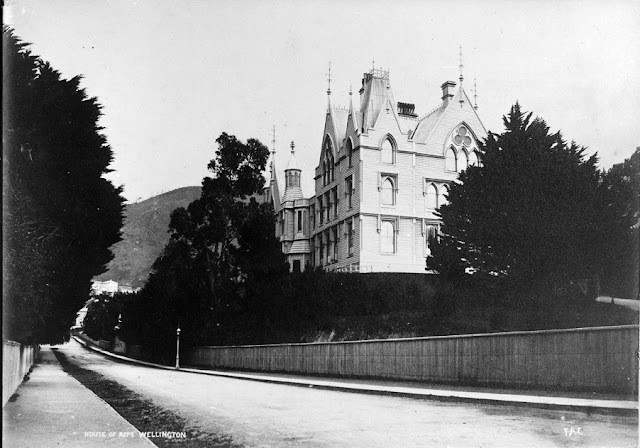 At a public meeting in Dunedin, with Waddell in attendance, a request for a Commission of Inquiry was formally passed, and the Government set in motion the inquiry. The Commission published its findings in the 1890 report, presenting details of case upon case. 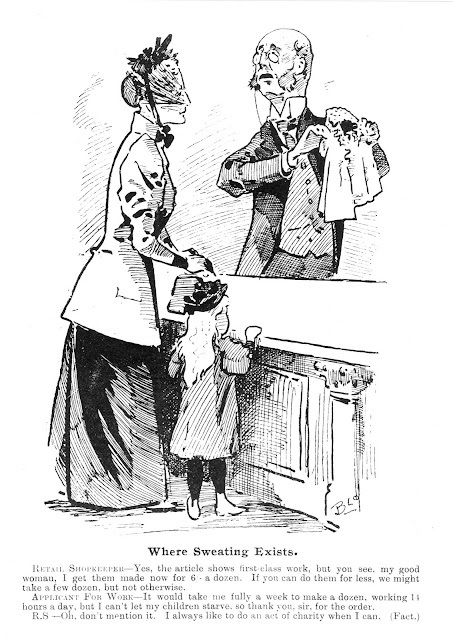 It investigated not only the garment trade, but wholesale and retail trades – Waddell had requested that shop girls also be included in the inquiry – hotels, and licensed houses. James D. Richardson. Queen Street, 1893. Auckland Libraries Heritage Collections, 4-3682. The commission found boys as young as 10 working in factories with barely any education or training. They discovered that girls working in the millinery and dressmaking industries in some establishments earned no wages in their first year, and in the second, low wages. Their place would then be taken by another girl, and the cycle continued. The same system applied in the mechanical trades. The Commission’s conclusion, however, was that sweating, as reported in the English papers, did not exist in New Zealand. Despite complaints of long hours and low pay, they concluded it was an inevitable fact of a competitive market. James D. Richardson. Parliament Buildings, Wellington. Auckland Libraries Heritage Collections, 4-914. In the years following, conditions began to improve for workers. 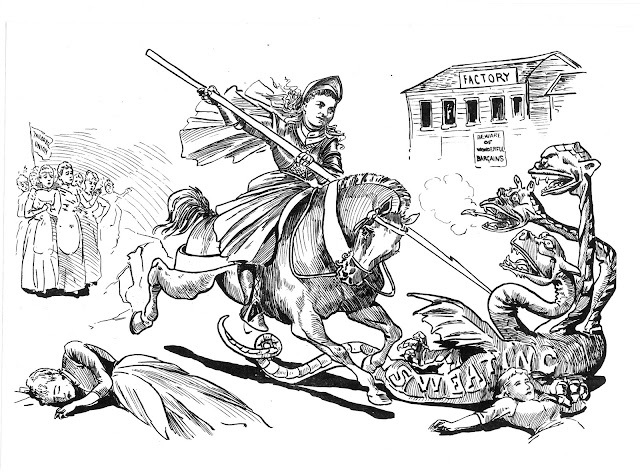 The Dunedin Tailoresses’ Union, formed in 1889, was New Zealand’s first women’s union, and in the early months, Waddell served as President. A year later, the new Liberal government came into power, promising to reform the labour market, especially following the depression of the 1880s. Rutherford Waddell’s sermon, The Sin of Cheapness, has subsequently been referred to as one of the most influential sermons in New Zealand. In “Great tales of New Zealand History," Gordon McLachlan called it the “sermon that moved a nation.” While Waddell himself mentioned it in subsequent writings, it seems that neither the sermon nor indeed any of the notes Waddell made, have survived. The Commission into Sweating, Appendices to the Journals of the House of Representatives.